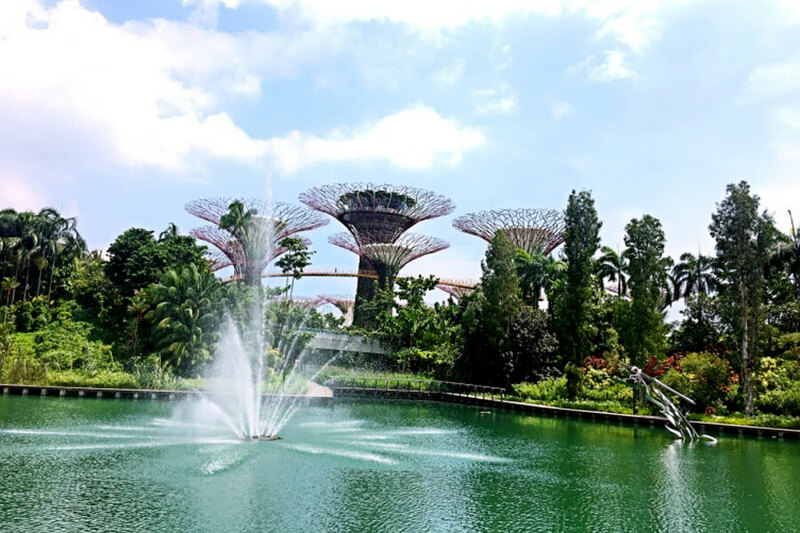 Before the start of the December holiday, our Hawthorn English Elementary 2 students went on a trip to Gardens by the Bay. After the trip, the students wrote a letter to their English Pen Pal about their day. On Friday, I went to Gardens by the Bay with my teacher and my friends. 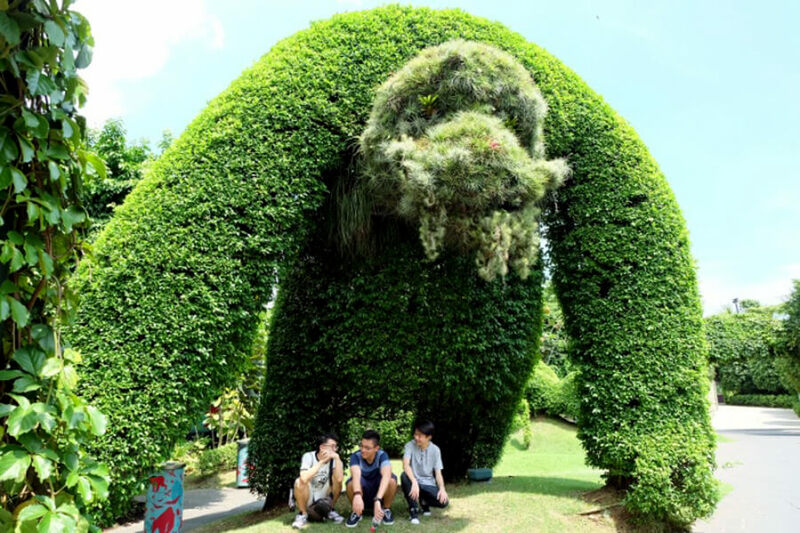 When I visited there, I learnt about many different things such as the different kinds of trees, the big baby sculpture, and the floral clock sculpture. I think the big baby sculpture is very interesting and amazing. I enjoyed being with my friends and learning new things. In my opinion, if you visit Gardens by the Bay, you should walk around the garden. 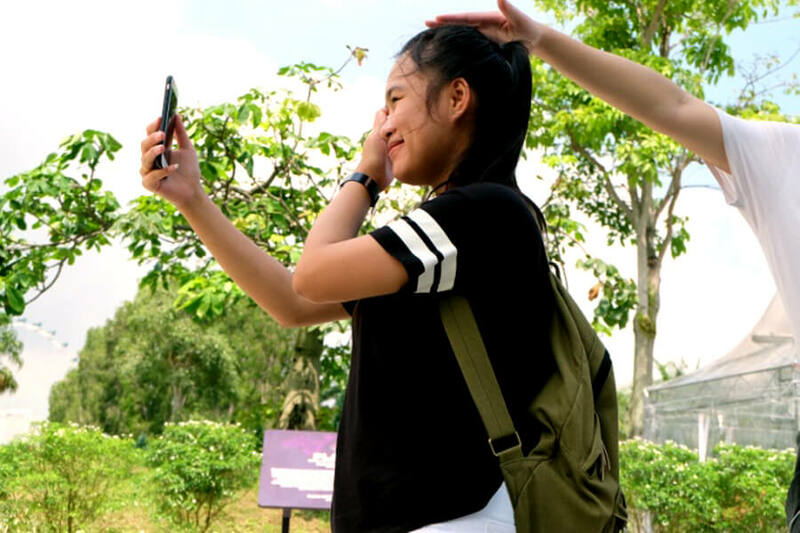 Kookkik taking a picture at Gardens by the Bay while her classmate acts silly. Photo taken by Jay. The ‘big baby sculpture’ is actually called Planet. I went to Gardens by the Bay last Friday. I went with my classmates and teacher. My teacher showed me a lot of things in Gardens by the Bay. I learned about trees and flowers. I was surprised by the huge baby sculpture. I enjoyed the place because it was a very good environment. 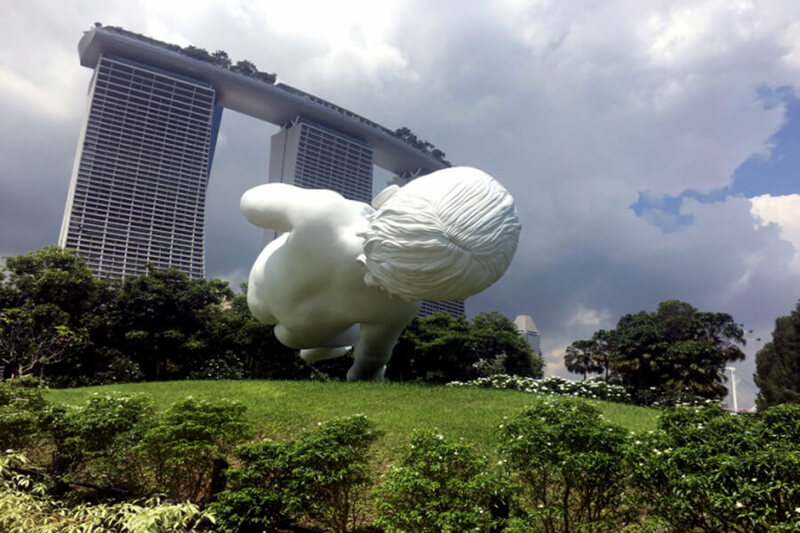 I will recommend that you visit when you are in Singapore, and do see the big baby sculpture because it has a history you can learn about. Today I went to Gardens by the Bay with my classmates. During the trip, I saw the Super Tree Grove, the floral clock and the big baby sculpture. I have learned many different things. I think the big baby surprised me. However, I enjoyed the Super Tree Grove the most. I will visit Gardens by the Bay again because I think it is fun. Classmates under an animal plant, taken by Jay. I went to Gardens by the Bay with my classmates at 10am. I learned many English words. I did enjoy walking around the premises. However, I do not think anything surprised me, and I do not have any suggestions for where you should visit in Gardens by the Bay. Still, you should go explore the place by yourself. Maybe you will love it.